Previous Post Can’t stop myself from sharing through my blog – Tool to generate early bound classes using CrmSvcUtil.exe. 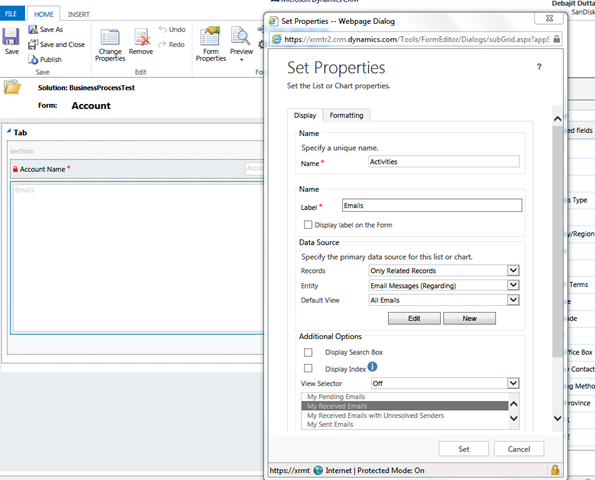 Hi, we have implemented this in CRM 2013, but recently after migrating to 2016, + sign to add new activities is missing. Any suggestions? Are u using CRM 2016 or Dynamics 365. If CRM 2016, there is a bug that the + button for subgrids is not visible. For this go to your System Settings and in the general section change the Form Rendering mode to legacy.